This year, ANM, an Albuquerque-based IT service provider, was recognized at Cisco’s National Partner Conference, Cisco Partner Summit. This year’s summit was held in San Francisco, California and it was ANM of New Mexico that took the prestigious title of Partner of the Year for the Commercial West Territory. 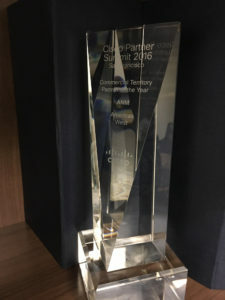 The Cisco Partner Summit awards reflect the top-performing partners within specific technology markets and verticals across the Cisco Americas region. A group from the Cisco Worldwide Partner Organization, as well as regional executives selects award recipients. 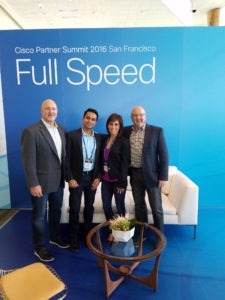 The title 2016 Cisco Partner of the Year for the Southwest Territory follows a number of other distinguished recognitions for ANM over the past two years. ANM is the sole Cisco Gold Partner that is headquartered in the state of New Mexico and has been named as the Cisco Partner of the Year for New Mexico two years in a row. In addition, ANM appeared in the CRN Fast Growth 150 List for 2016, where it was rated as the ninth fastest growing solution provider in North America. Through proven technical expertise, solid financial management, and ongoing community involvement, ANM has become a recognized leader in the Information Technology industry in the Rocky Mountain region. Headquartered in Albuquerque, New Mexico, ANM also has sales and engineering offices in Las Cruces, Denver, and Colorado Springs. ANM recently achieved Cisco Gold Certification, solidifying its reputation as the region’s leading IT supplier. For more information on the nation’s foremost IT solutions, visit cisco.com and anm.com.